While Japan’s high-profile highway projects in Nepal get all the attention, less well known is the work Japanese social entrepreneurs are doing with Nepali farmers to transform livelihoods in an earthquake-hit region of the Himalaya. A tasty variety of Japanese strawberry ideally suited for the soil and climate at 2,500m in the villages surrounding Kakani 25 km from Kathmandu, has become a rewarding cash crop and job generator for local villages. “Nepal is blessed with rich nature but lacks scientific planting methods, which led to the inefficient strawberry farming in the past decades,” says Nanami Wakayama, co-founder of Himeberry, which is a unique Japan-Nepal agriculture joint venture. The Japanese first saw the potential for strawberry farming in Kakani 25 years ago when agronomist Matsuura Hiroshi brought six sample plants which flourished and spread among farmers who till then had been growing radish for the Kathmandu market. But the project fizzled out when Nepal was engulfed in conflict. Now, Nanami Wakayama and her husband are back to continue the work of growing and selling the lucrative cash crop. This time, the business is even more systematic: the farmers are learning to build greenhouses, use drip irrigation in the arid slopes, and use an advanced business concept to sell the organic pesticide-free fruits in nearby Kathmandu. When they first came to Nepal in 2014, the Wakayamas discovered that strawberry not only made business sense but would also benefit local farmers if they got a fair price for their product. Using Nepal’s natural resource and Japanese farming technology to grow a top-quality product while creating jobs was a win-win situation. Growing strawberry in open sloping terraces did not ensure steady harvests, so Himeberry imported the sweeter, juicier and more shapely ‘Aiberry’ and ‘Akihime’ and ‘Tochifome’ varieties to replace the original ‘Nyoho’ strawberries. They are now grown in 40 new greenhouses in which temperature is not allowed to dip below 5 degrees at night. Kakani has always had a water shortage, so Himeberry uses drip irrigation technology from Israel to save water and more efficient use of fertiliser. But soil quality is a problem. “We need to do soil tests and produce specific fertilisers for strawberry,” explains Himeberry’s technical instructor, Shiva Raj Pokhrel, adding that the company will set up its own bio-fertiliser factory next year. The company offer loans, training, free seeds, fertilisers, and greenhouses and then buys the produce at a fair price, and adheres to its company motto of ‘More jobs, better lives’. 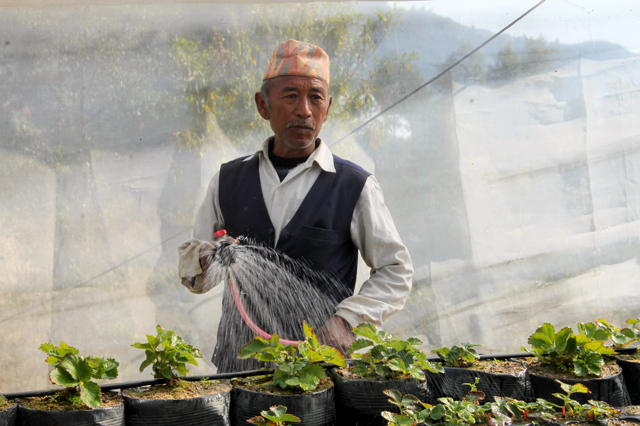 Among 23 Himeberry contracted farmers, Ram Kumar Tamang (pictured, above) has the biggest strawberry patches and most greenhouses. He is a retired from the Ministry of Agriculture and says he wanted to not just make money but to help villagers. “I want to learn more professional farming technology from the Japanese, since advanced business concepts are what exactly we Nepali farmers lack now,” he said. 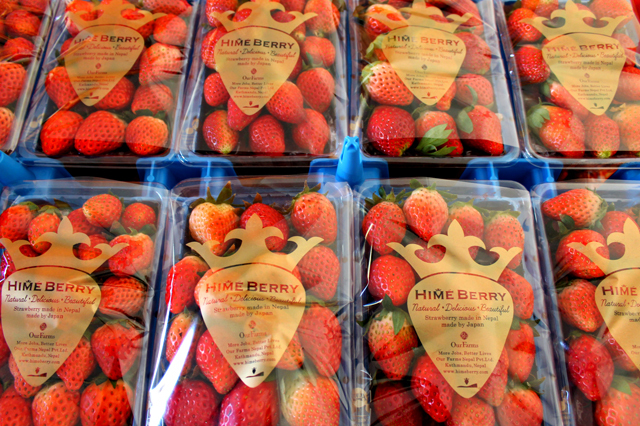 Himeberry has a strict code of conduct that binds farmers not to sell to other middlemen, not mix the plants with other species, and to follow the Japanese methods of cultivation. In return the Japanese have learnt from Nepali farmers the need to respect tradition and family, although the Japanese have also had to get used to the slow pace of work in Nepal. “It takes a long time to complete even simple tasks here, and we have learnt to be patient,” said Wakayama. 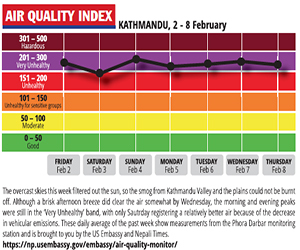 Himeberry sells organic strawberry in packs of 300g in Kathmandu with a delivery service for homes, hotels and supermarkets. The positive response from market gives the Wakayamas confidence to expand the business and create 200 more jobs next year. Back in 2001 when the war ended strawberry farming, 700 people were involved in the business and that figure has dropped by half, but if things go according to plan that number should increase. 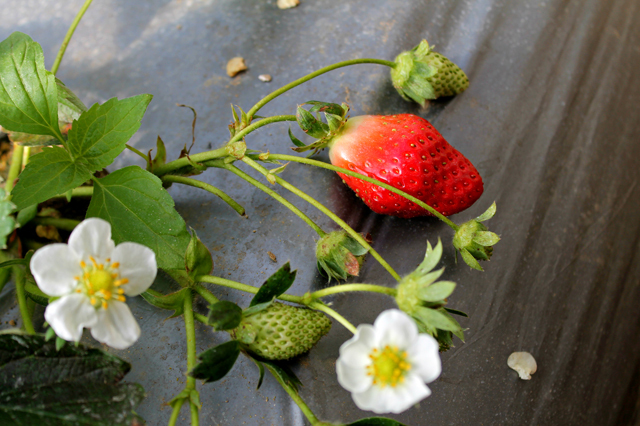 Compared with other crops, strawberry is delicate, doesn’t travel easily and is prone to disease. It grows best in the Himalaya between 1,500–2,500m with a temperature range of 4-25 Celsius and up to 4000 ml of annual rainfall. 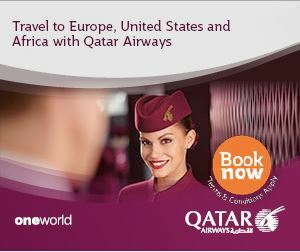 And that is what makes Kakani an ideal location. The caretakers of the living goddess want half the income the municipality collects from tourists visiting Hanuman Dhoka.